My mom and I woke up early for a walk around the steamy streets of New Orleans. Mornings in New Orleans are my favorite time of day because there are very few people out on the streets. We did stumble upon a few people though…some nuns heading to morning mass. Nuns arriving at morning mass at the cathedral. 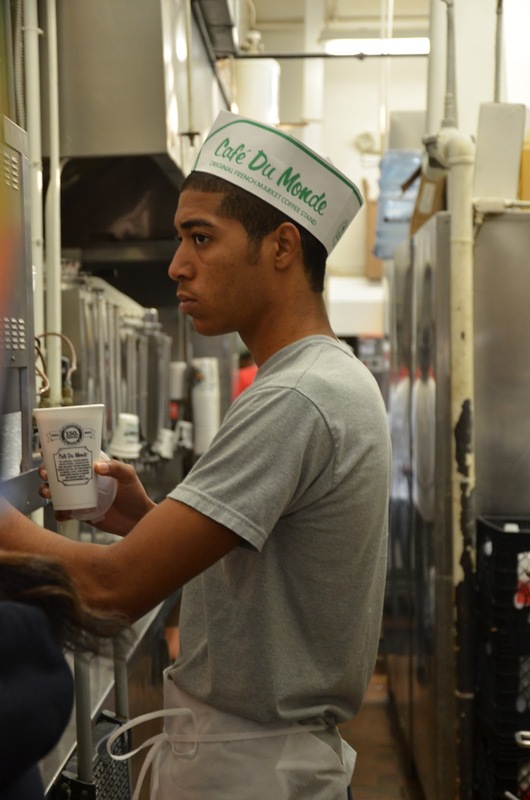 We arrived at the French Quarter and headed straight for Cafe du Monde to pick up breakfast…beignets and cafe au lait. It doesn’t get much better than that! We arrived back at the hotel in time to get cleaned up and ready for the Ole Miss game. 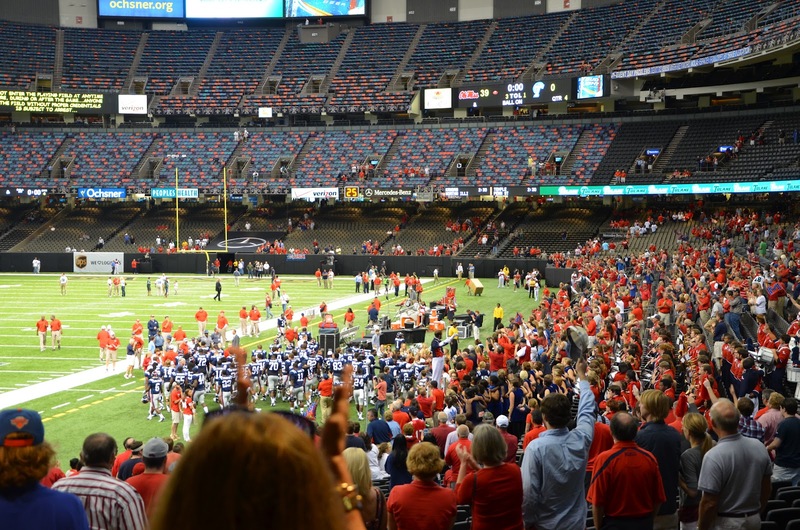 Ole Miss was playing Tulane in the Super Dome and for my dad it was like Christmas morning. 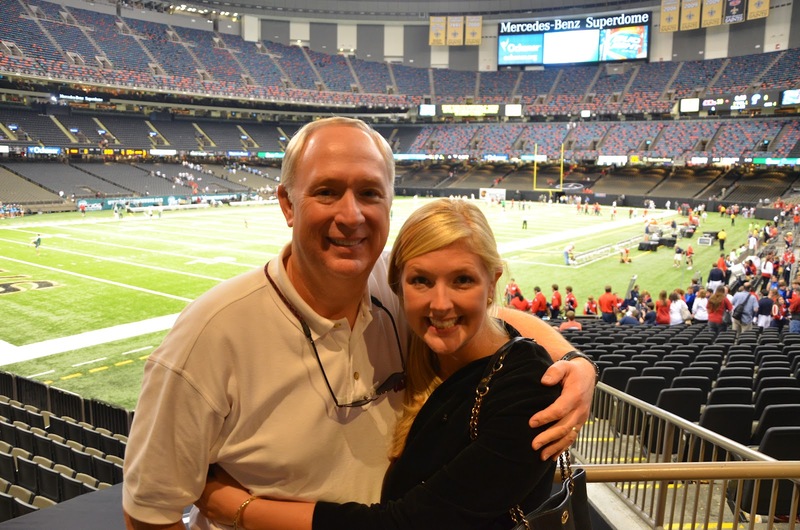 My dad loves football and he’s Ole Miss’ biggest fan. 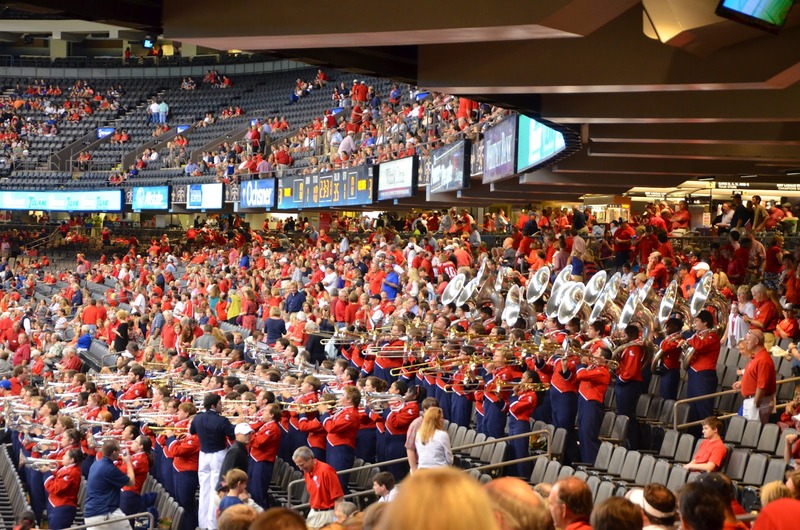 At the game, we cheered the Rebels to victory for a 39-0 win over Tulane. Excited about a game day win! 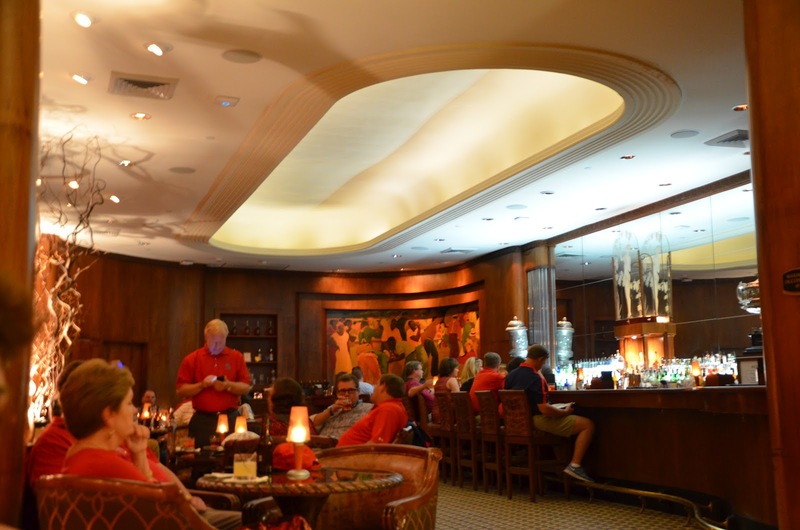 We arrived at The Roosevelt to have a celebratory drink at the Sazerac Bar. 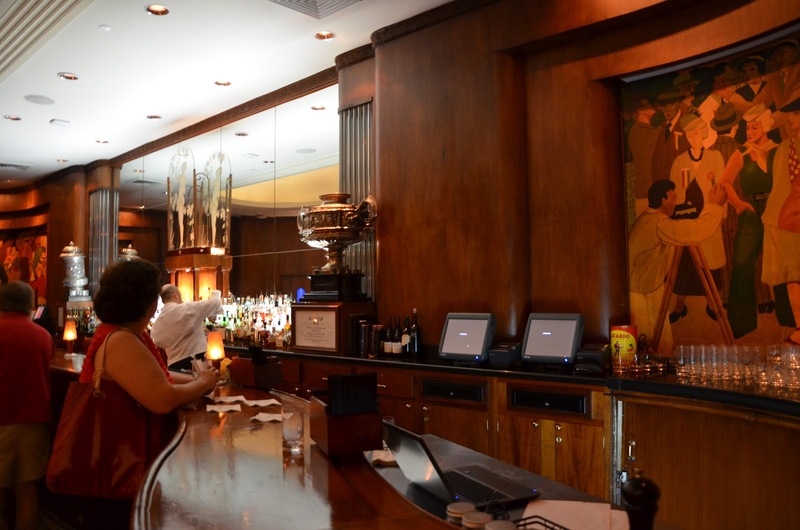 My mom had the bars signature drink, a sazerac, while I went with a rum baybreeze. We relaxed for a bit at the bar before heading to Slidell for dinner at Matt’s parents’ house. We ended a great evening by celebrating Matt’s early birthday. 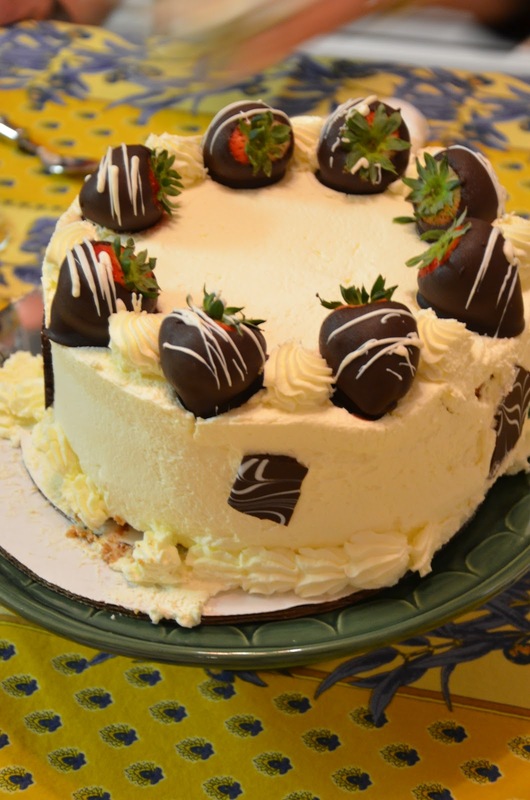 Cake, great conversation and champagne…it doesn’t get much better than this! 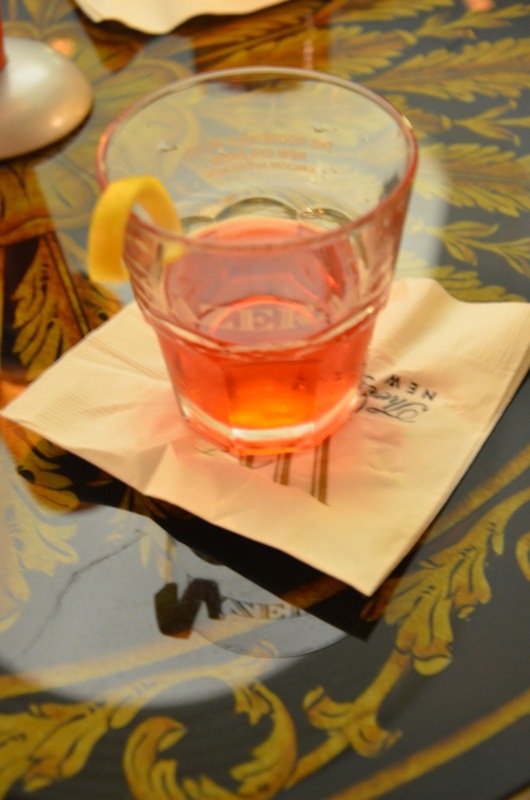 I stayed at the Roosevelt the last time I was in NOLA and I definitely drank a sazarec AT the Sazerac (GA-ROSS)!! 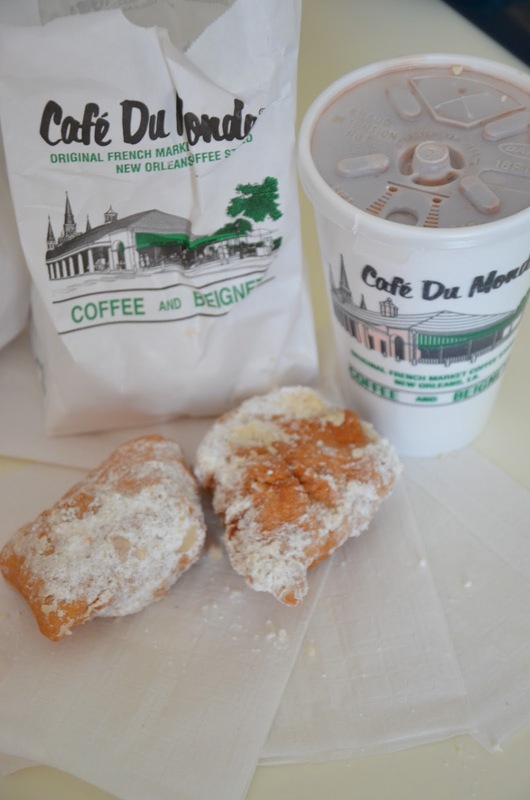 We absolutely loved the breakfast beignets at Cafe du Monde! The line was out the door and down the street, but it was worth the wait. I'm enjoying reading your adventures. 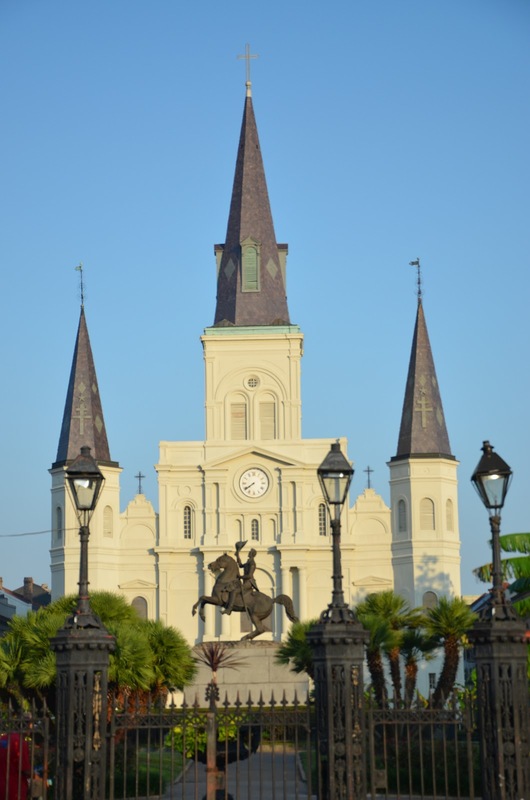 Mornings have always been one of my favorite times in the French Quarter … the slow start of the morning and of course Cafe du Monde and beignets. That birthday cake looks amazing … Happy Belated Birthday Matt!